Fearless Vancouver wedding photographer Jozef Povazan - Best Vancouver wedding photographer Jozef Povazan Photography studio. There is many wedding photography awards I had received. 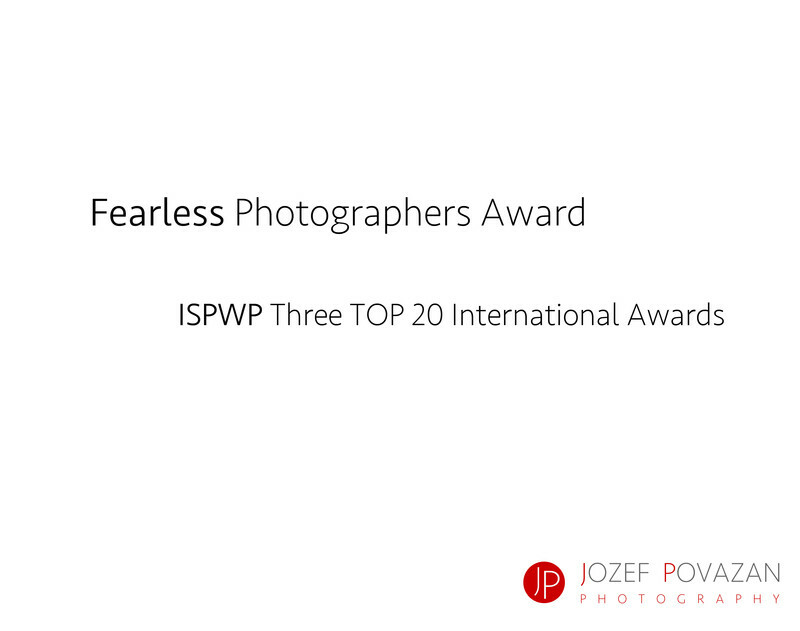 The one I really feel proud of is the Fearless photographer award. I am a member of this professional photography association and this one is my favourite. It is extremely hard to get one and that is why there is only a couple wedding photographers in Vancouver who actually received this award. I am hungry to get more of them in future. If you are looking for extraordinary, unique and creative wedding pictures from your big day, let me know and you might be part of my next famous image. The other International Wedding Photography organization I am prod to be member is ISPWP. It has been only couple months since I joined and I was already honoured to receive 3 TOP 20 Wedding Photography Awards there. Huge Thank you to all my brides and grooms who helped me to make this happen. If you would like to be the next one feel free to contact me. I am based in North Vancouver and for an extra tiny fee available to travel anywhere in the world to photograph your destination wedding. Location: Brock House Restaurant, Vancouver, BC.